CHICAGO, IL--(Marketwired - Jul 12, 2015) - Lou Vukas, President and Founder of G&N Corporation, has announced an expansion of his business relations with China. A renowned real estate investor, Vukas has reached legendary status for his profitable system of low-risk and high-return ventures. With the continued strength of China's economy in relation to the rest of the world, G&N has begun to explore promising new projects and developments in the U.S. that appeal to Chinese investors. "We have been expanding ties with some large-scale Chinese investors who are seeking out U.S. investment opportunities," says Lou Vukas, President and Founder of G&N Corporation. "Geographically, we put a focus on areas that appeal most to foreign investors like Las Vegas and Miami, in both commercial and residential opportunities. United States real estate offers them a secure place to store their wealth, while simultaneously offering US property owners and co-investors a particularly robust market to profit from. My executive team has been making critical inroads and building relationships that we will detail publicly in the coming weeks." G&N Corporation is the latest startup venture in a string of successful enterprises engineered by Vukas through the years. G&N offers clients an extensive portfolio of income-producing real estate, managed by a team of six professionals drawn from a broad representation of fields. G&N expects to cultivate a range of opportunities from raw land and new developments to commercial and residential property deals as well as casino and gaming interests. The company is dedicated to a creative approach in maximizing investment returns and does not limit itself to only real estate. Import-export market opportunities, fitness, health and consumer products ranging from furniture to cosmetics all have potential to emerge as hot topics for G&N to research and explore. Years of experience in real estate trading throughout the US have given Vukas particular insight into the lucrative potential of an investment trend. He has been responsible for a number of successful restaurant launches, managed a leading construction and asphalt company, and made impressive gains as a commodities trader specializing in crude oil futures. His holistic approach to investing gives him an exceptional eye for fresh opportunities everywhere in the world. He maintains long-established ties to Asia, in particular the fast-growing Chinese market, and he has become a sought-after advisor and consultant to CEOs and company owners looking to leverage his knowledge. 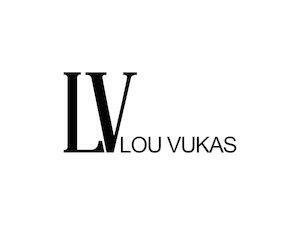 A strong believer in the power of charity and with a keen desire to give back to society, Lou Vukas has made exceptional efforts to donate time and money to a range of nonprofits. The international charity, Smile Train, gets much of his attention; an organization that sends funds and medical training to developing countries to help children needing cleft lip and palate surgery. Another organization Vukas loves to help is the Guide Dog Foundation, a New York-based nonprofit that identifies, trains and homes guide dogs who assist blind and visually impaired people maintain their independence and mobility.